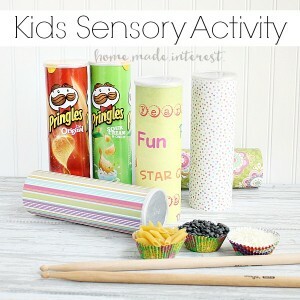 Summer Fun - Kids' Music Sensory Activity - Home. Made. Interest. We’re halfway through July and the kids have already started saying they are bored. It’s been a rainy summer so far so we’ve had a lot of days cooped up in the house and I have been struggling for fun activities to keep the kids busy. So, when Pringles® asked me to partner with them to spread the work about their Pringles® Summer Jam I jumped at the chance! We’re all about music at my house. We have family karaoke sing-offs and dance parties in the living room together. My kiddos have definitely inherited their parents’ love of music. Pringles® knows that people use their cans as instruments so they challenged musicians to incorporate the brand’s iconic can into their music. You can see what they came up with if you check out their Percussion Prodigies’ videos at Pringles.com/music. 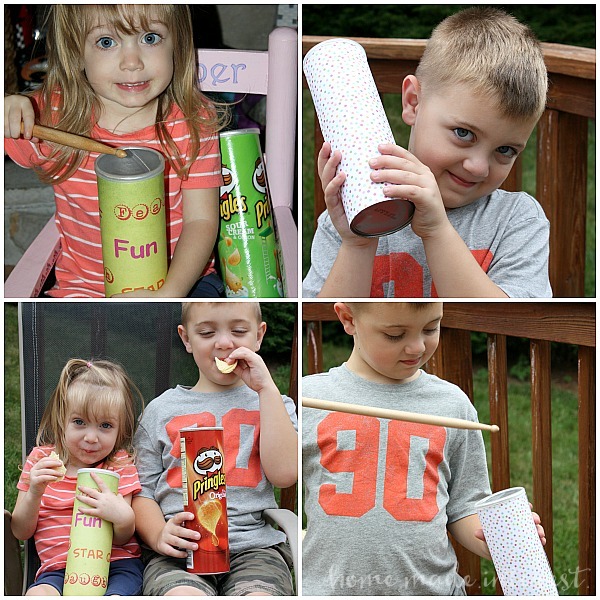 The kids and I watched the videos for some inspiration then we did this simple music sensory activity where they made their own percussion instruments with Pringles® cans. 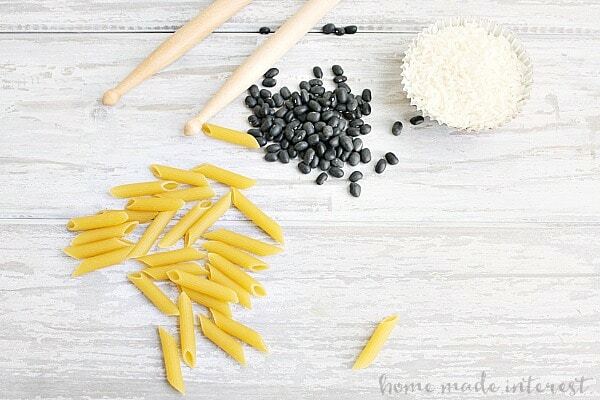 To give the kids different sounds to play with I used things I had in the pantry, dried beans, noodles, and rice. 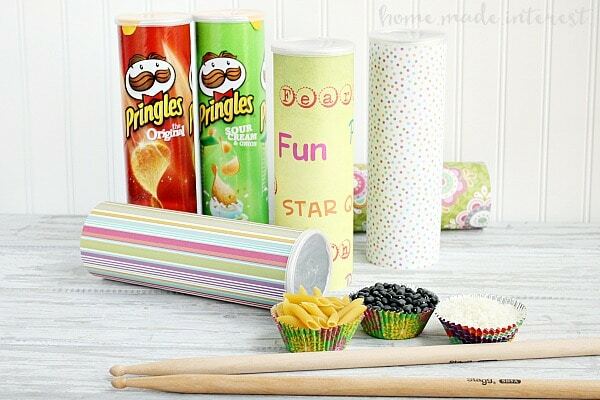 I laid everything out on the kitchen table and let them experiment, combining different ingredients and different amounts, into the Pringles® cans to see what sounds they made and how they changed as they added items and mixed them together. We shook them, thumped them with our hands, and banged on them with drum sticks. The kids had a blast making music, dumping out the contents of the can, adding something different and starting all over again. It was a very loud, but very fun afternoon. 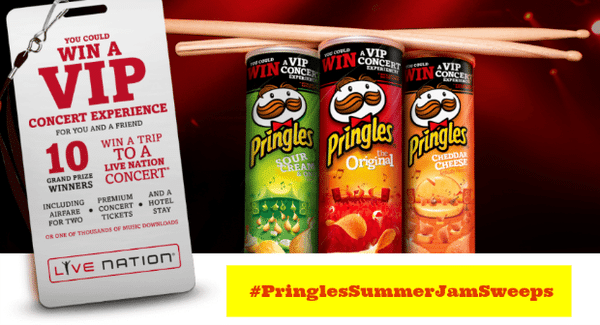 If you love music you can share your Pringles® creations on Twitter using #PringlesSummerJamSweep. Abbreviated Rules. No Purchase Necessary. Open to legal residents of the fifty (50) United States and District of Columbia who are 18 years of age or older at time of entry, and are a registered Twitter user. To enter and/or for complete Official Rules, go to https://www.pringles.com/us/promotions/summer-jam-2015/percussion-prodigies/official-rules.html. Promotion ends on 7/31/15 at 11:59:59 PM (ET). Subject to complete Official Rules. Void where prohibited. Sponsor: Kellogg Company, One Kellogg Square, Battle Creek, MI 49016. What fun activities are you doing with the kids this summer? This is a sponsored post written by me on behalf of Pringles® Summer Jam. What a fun idea!!! My kids would love these!! What a great way to recycle something! Definitely a great idea for the kids ~ and so easy to do! What a fun upcycled idea! 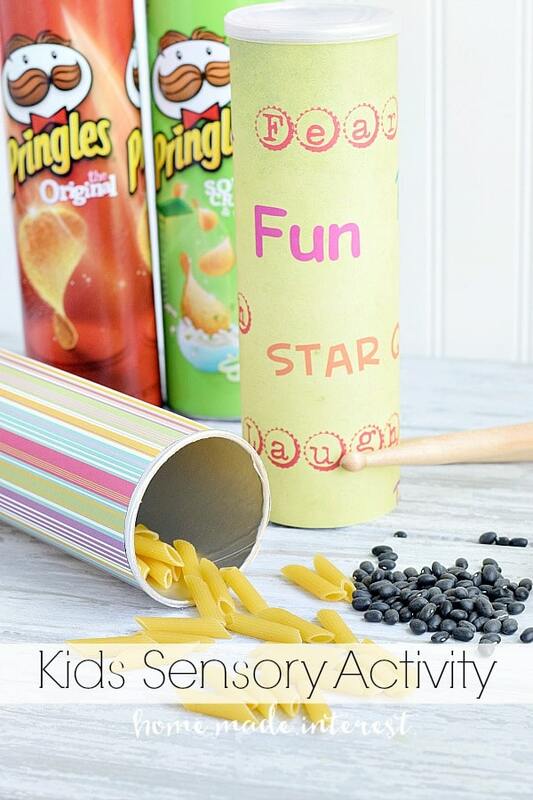 What a fun way to improvise with what’s on hand! I hope she enjoys it as much as Melinda’s kids did!